James Makamba is the youngest of ten siblings, and was born in the mining town of Shamva, Madziva Reserve where his father had a contract ploughing people’s crops and owned a grinding mill. He attended Mupfurudzi Primary School and later attended Kujuwara School (near Mount Darwin) when he and his family relocated to Chesa. He later finished his upper primary education in Tomlinson Depot, Harare after moving in with one of his elder brothers. Makamba then attended the Jesuit Mission School in Bulawayo for High School, where values of discipline and integrity were instilled in the young man. Upon completion, he moved back to Harare and began work in the Catholic Centre. It was here where Makamba became exposed to broadcasting through a government organisation in the vicinity which focused on educational Audio-visual services. He was hired there to do voice-overs for commercials and this marked the beginning of his broadcasting interest. The manager encouraged him to audition with the Rhodesian Broadcasting Corporation(RBC), and he got the job and became a commercial radio broadcaster. James went on to study abroad and earned his MBA at California Coast University and has a Honorary Business Leadership Doctorate from St. Luis University, Dominica. James Makamba gained popularity through working as a radio personality on the Rhodesian Broadcasting Corporation later known as chanel 2. During this time, he became an impressive trend setter for fashion, personality and style. He travelled across the country for several events and endorsements establishing himself as the best DJ and a force to be reckoned with. Makamba aligned himself with fellow businessmen and friends, and together collaborated to form the first independent channel in Zimbabwe in 1997 called JOY TV. The channel ran for six years before being turned down for a license renewal by the government. Despite the setback, Makamba’s good eye for business allowed him to stay on top. One of his major endeavours included his partnership with the bank Old Mutual during the 1980’s. Within 8 months, he made over $US 1 million in sales, as a consultant for the bank, selling insurance and investment products. This qualified him to become part of the Million Dollar Round table which is an independent International association of the best financial and insurance service professionals across the globe. His high-level success and determination gained him much popularity in the international-business environment. Tiny Rowland the founder of Lonrho which is a London-based company focused on investing and capitalising in growing industries in Sub-Saharan Africa reached out to Makamba. He was appointed to various leading positions such as Deputy Chairman of the Board in Botswana and leading senior consultant of the company between London to Zimbabwe. Through Lonrho’s contract with Boeing, Makamba was appointed as the Boeing sales executive, allowing an expansion of Boeing’s market share in Africa. Makamba’s association and work with Lonrho and Boeing led to Air Zimbabwe’s purchase of Boeing 767. During his time at Lonrho, Makamba met Miko Rwayitare, the co-founder of Telecel and Joel Gutt who was his partner in building the Telecoms business throughout Africa. 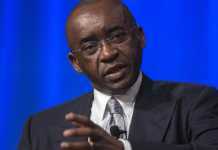 Together they established Telecel Zimbabwe which is the country’s third largest mobile network operator. Through his own investment company, Kestrel Corporation, he became part of the Empowerment Corporation of Zimbabwe (EC), which owned 60% of shares in Telecel and the rest (40%), is owned by Telecel International. Empowerment Corporation was formed by Makamba through a consortium of disadvantaged groups, women’s groups, miners and other indigenous groups. 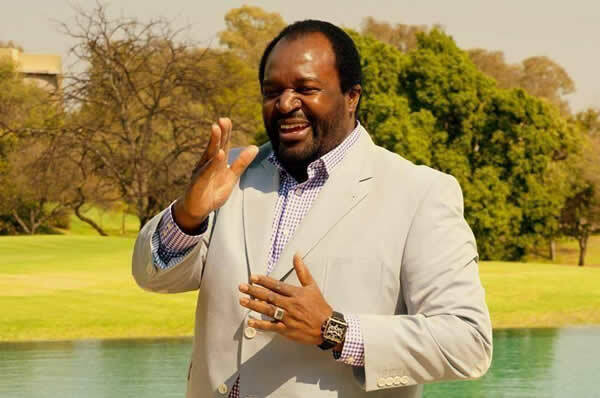 Over the years James Makamba has been involved in various philanthropic work including IBBAMO based in South Africa and United Kingdom, which is focused on raising funds through various projects for disadvantaged African young people to improve their opportunities in education. The name IBBAMO stands for ‘Inspired by Barrack and Michelle Obama’ which rightfully expresses the source of his inspiration behind the formation of the organisation. His other Organisations focus on entrepreneurship and Social development, and all three under the James Makamba Foundation focus on equipping African youth, communities and entrepreneurs through varied initiatives.